While rumors abound of audio reviewers being bribed by lavish meals and travel, it’s easier to get my attention – just send a pair of speakers painted the same color as one of my BMWs. Ha. Carbon fiber is pretty much catnip too. After a bit of positioning in room two, the Raidho XT-2 speakers are delivering the goods. So far, our experience with the Danish brand outside of shows (where they always bring BIG speakers) has been with the smaller monitors. All good, but we’ve been jonesing for a pair of Raidho’s with a bit bigger bottom. The just under $20k/pair XT-2s deliver, with a pair of 4″ Raidho X-Drivers and their renowned ribbon tweeter. 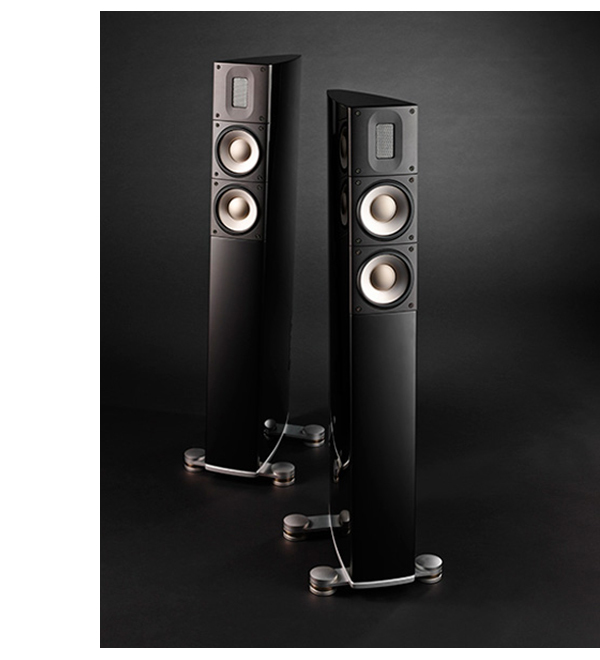 In a diminutive cabinet, barely 6 inches wide, these 41 inch tall columns provide room filling sound with ease. The 6-0hm impedance makes them easy to drive, and even though the sensitivity is rated at 85db/1 watt, our reference Pass INT-60 amplifier has no problem playing with authority. You can read more about the XT-2s here. And we’ll have a full review shortly. Previous News Item: Luxman PD-171A Arrives! Next News Item: Worlds Best Amplifier?